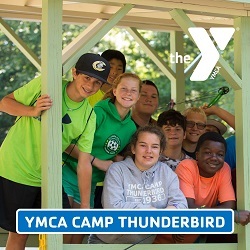 YMCA Camp Thunderbird Early Bird Discount Ends 1/31! Home Education	Smarty Alert: YMCA Camp Thunderbird Early Bird Discount Ends 1/31! Smarties, get your summer calendars ready and start mapping out your kids’ plans – YMCA Camp Thunderbird has an early bird discount that will expire on January 31st! Every dollar helps, so don’t forget to register NOW! YMCA Camp Thunderbird is the BEST! It’s close to Charlotte, hosts day and resident campers, and is one of the few places in the QC that can boast generations of camp alum. There’s a lot to be said for that. Plus, it was voted Best Day Camp in the 2016 Smarty Awards! 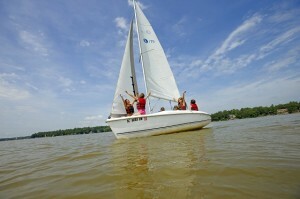 YMCA CAMP THUNDERBIRD is a co-ed resident camp on 1.7 miles of beautiful Lake Wylie, SC shoreline. Your child will learn new skills, make lifelong friends and grow in confidence on Thunderbird’s ultimate water playground and diverse land activities. 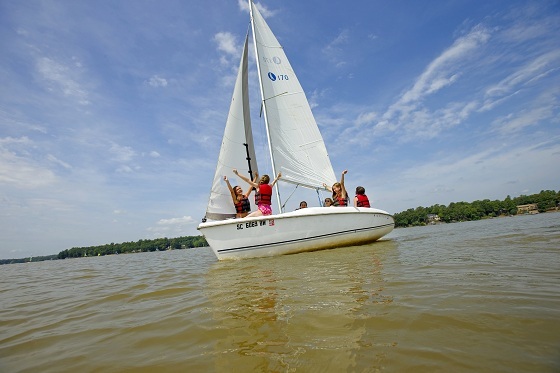 Wakesports, paddleboarding, horseback riding, high ropes, and archery are just a few of the programs your child can experience this summer. Smarty tip #1: Members of the YMCA of Greater Charlotte receive a $100 per week discount when registering for resident camp. Smarty tip #2: Take advantage of Thunderbird’s easy payment plan. Make a $200 deposit and five additional payments beginning in February. Early birds who register before January 31st qualify for a $50/week discount. Pricing increases on February 1st. YMCA of Greater Charlotte members also receive an additional membership discount of $100/week for each camper. Host a home event and receive $75 off when you refer a new camper who enrolls in camp. YMCA Camp Thunderbird also offers a payment plan, click here for details. Sign up now and be a (smart-y) early bird! Call 704.416.6100 to speak with someone directly. Summer 2017 starts the week of June 4 and ends the week of August 6. Presenting the 2012 CSP Mother’s Day Swag!